In the earlier article, we discussed “What is the role of a Final Year Architecture student and his perspective towards carrying out his Thesis Project“. The mental attitude of a student, how much of studentship does he maintain. His understanding of Architecture and his capacity to portray his ideas in visual/graphic/oral form. Level of curiosity translated in terms of his grasp of the ‘process of research’. Searching the past and the present in terms of ideas. The importance of History cannot be stressed more. The ability to read, write and draw the level of confidence required to initiate a study, the ability to discuss the necessary information from amongst a plethora of literature and knowledge, to define the limitations without getting lost in the world of information. To direct his ideas and knowledge for the betterment of communities and society at large. We are not supposed to, nor should we try to, be designing for exotic locations. Our orientation should be our own nation and from there on define the locality and the community. You would be designing for an American/British/Indian Climate with all the accompanying factors of Economic, Political, social, legal, environmental and cultural. So try to design and improve your own living conditions through indigenous materials, methods and designs suited to the your region of study. To get away from the “Drafting Board” style of designing in two dimensional sterility. Architecture is not for a visual sense alone and that too on a drawing board minus the experience of space. Architectural Design apart from its visual experience has to cater to other senses of touch. Sound and smell also. Most of our Architectural experience is tactile (sense of touch) and yet we hardly consider it in our designs. 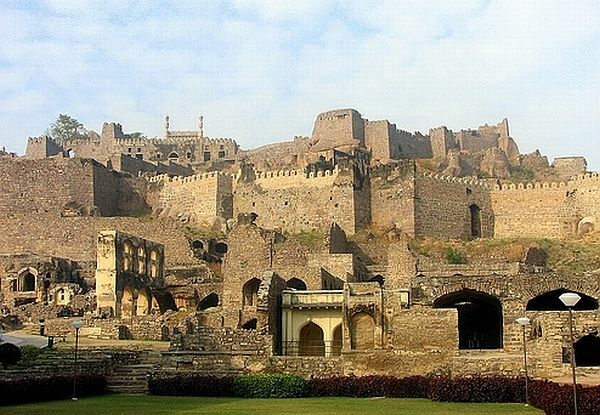 The Acoustical effects of the Golconda Fort is a fine example of catering to the delights of sound inspite of all its rugged construction. The fragrance of “Night queen” plant, Holy Basil plant, the Rose have their place in our traditions and yet we never care for our nasal promoters. Form/Texture/color are inseparable in Architecture and so are painting, sculpture and Architecture. It is the fusion of the above that gives rise to the mind to keep it thinking. So produce an Architecture that would have some sensory appeal. Finally, your final presentation should be good. The drawings should be self explanatory requiring few words to explain rather than haranguing long sermons over bad presentations. You should consider the examiners as your client and you should be confident about your work. Huge, bland and monotonous spaces and facades are to be avoided. “Modernism has reduced every aspect of Architecture into function and efficiency”. Understanding of Architectural compositions is very much needed to make a good design. Western secularism strips everything of its essentials to the bare minimum. Study various Architectural styles, how they have evolved and given a new shape to Architecture. History is the key. Audio Visual Aids – Slides/photographs etc. to be arranged in order. Viva-voce – A loud voice, a confident stance, guided by clear thinking. Assuming your examiners to be your clients. You have already understood the subject and your clients need to be explained to. Look straight into the eyes of the examiner and talk – your confidence will tend to cover up minor mistakes. In our next article, we shall discuss about “How to select a Thesis Topic”. I am sure many of you would be curious to figure that out.